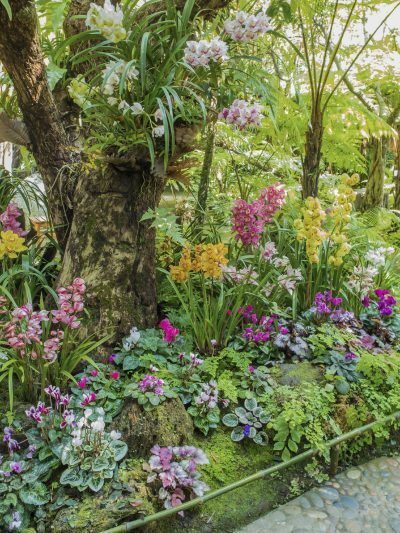 Warm region gardeners are often frustrated by their inability to grow many types of plants that are not hardy in their zone. United States Department of Agriculture zones 9 to 11 are areas with lowest temperatures at 25 to 40 degrees Fahrenheit (-3 to 4 C.). That means a freeze is rare and daytime temperatures are warm even in winter. Specimens that require a chilling period are not suitable plants for hot climates; however, there are plenty of native and adaptive plants that will thrive in these garden zones. Maybe you’ve moved to a new area or you suddenly have garden space in your tropical to semi-tropical town. Either way, you now will need planting tips for zones 9 through 11. These zones can run the gamut in other weather characteristics but they rarely freeze or snow, and average temperatures are warm year around. A good place to start planning your garden is with your local extension office. They can tell you what native plants are a good fit for a landscape and what non-native plants might do well too. Zones 9 to 11 in the United States encompass such areas as Texas, California, Louisiana, Florida and other southern areas of the states. Their characteristics regarding water vary, however, which is also a consideration when choosing plants. 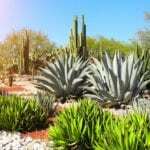 Gardening in zones 9-11 may be challenging in general, but these more arid regions are the most taxing due to water issues. Many other species are also adaptable plants for zones 9-11 with a few tips. The most important thing to remember with any plant is to match its needs to the soil. Many cooler climate plants can thrive in hot areas but the soil must hold moisture and the site should be protected from the highest heat of the day. So site is also important. Northern plants with a high heat tolerance can perform well if they are afforded some protection from the sizzling sun’s rays and kept evenly moist. That is not to say soggy but evenly and frequently watered and in a soil rich in compost that will keep water in and topped with mulch that will prevent evaporation. Another tip for warm region gardeners is to plant in containers. Container plants expand your menu by allowing you to move cool climate plants indoors during the hottest part of the day and in the depth of summer.